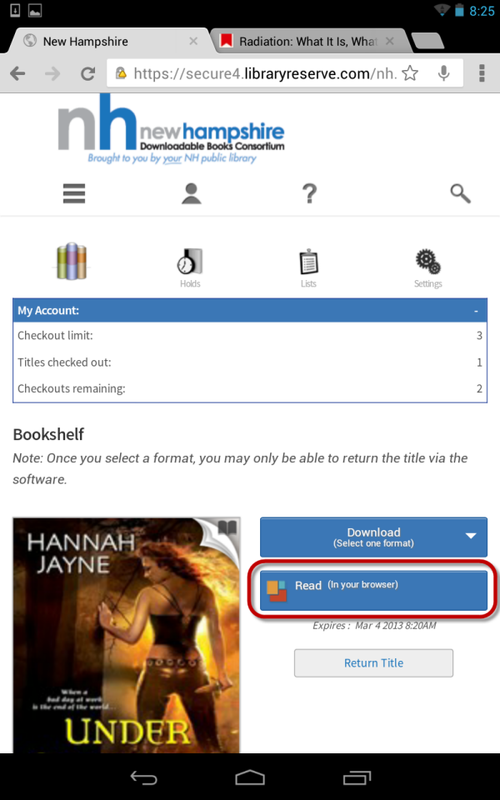 Log into the NHDB site with your library card. Visit "Account >> Bookshelf" to find an eBook you've checked out or browse for a new eBook to borrow. From the Bookshelf, check if the title is available in READ format. 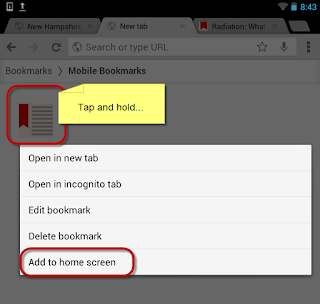 If you see a "READ (in your browser) button, tap the button. The READ eBook will open in a new browser tab and present a half-page tutorial. Press "OK" to close the tutorial. 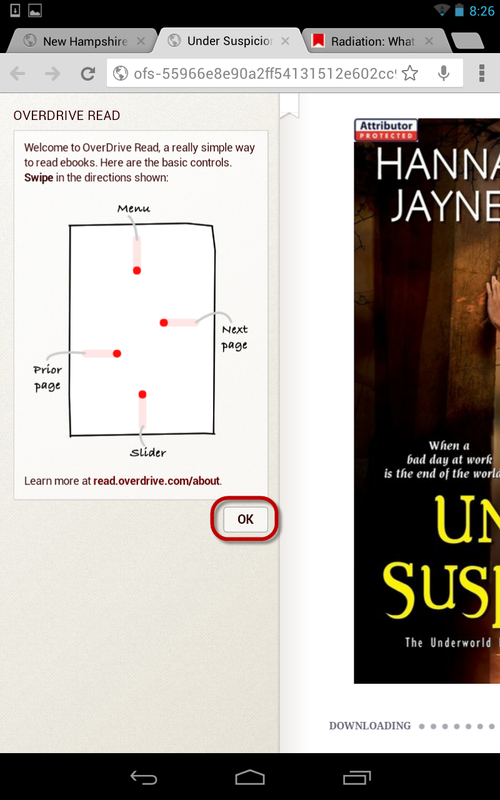 Pull downwards to get to the reader options. 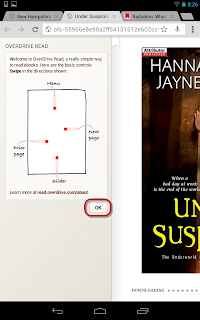 Pull the reader options from right to left to see the options to change the font sizes. 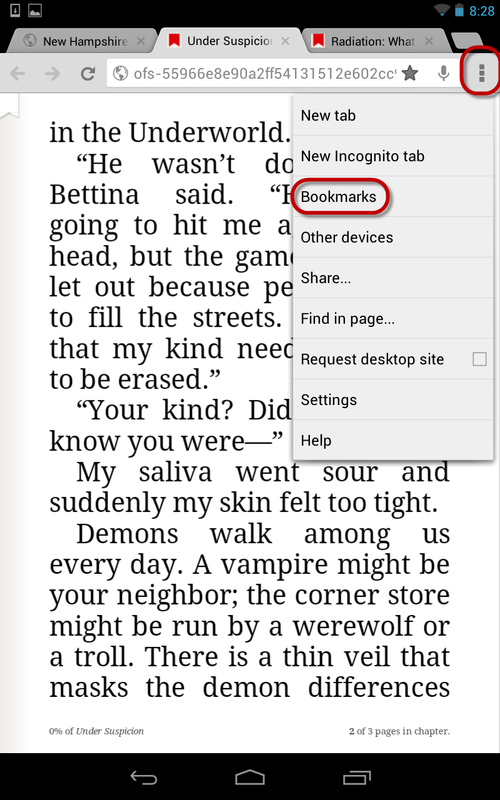 Tap "Book Defaults" buttons to see the options. Note: Don't be alarmed if the text doesn't appear nicely spaced out. 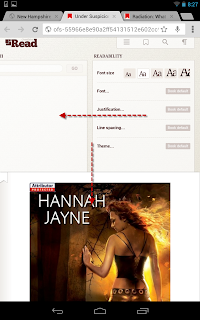 Adjust the line spacing and the font normalizes. 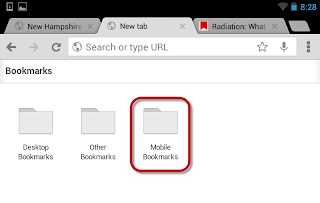 The entire eBook has now been downloaded to your Nexus' web browser and can be read offline -- no internet access required. 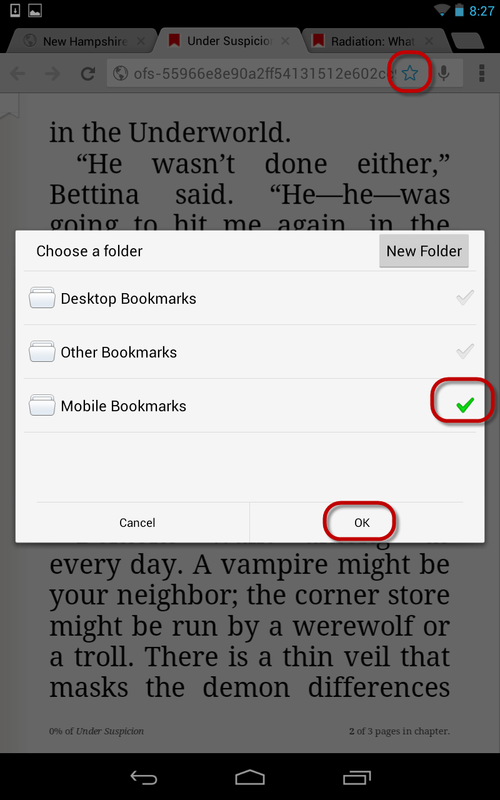 Add a bookmark to the device's home screen to remember to read your book! 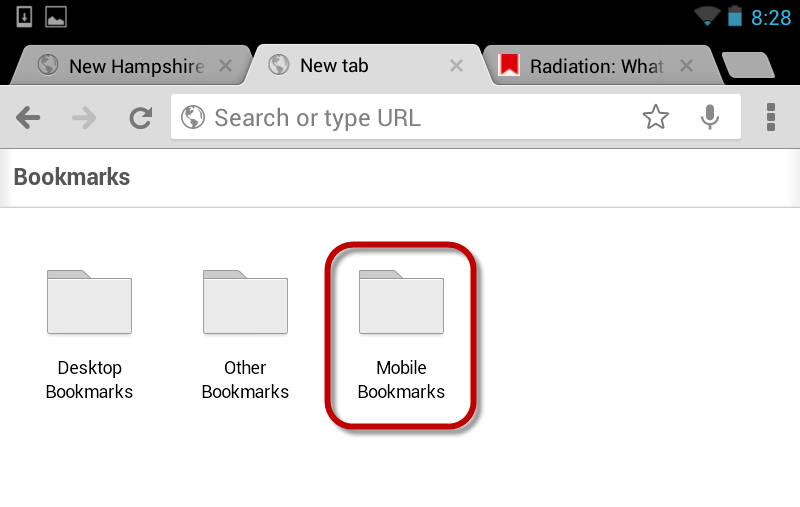 From the address/search box, tap the small star to add a bookmark. 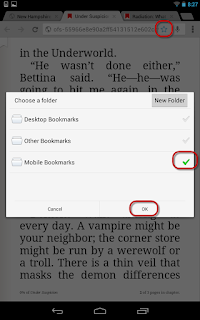 Choose the "Mobile Bookmarks" folder to save your eBook. 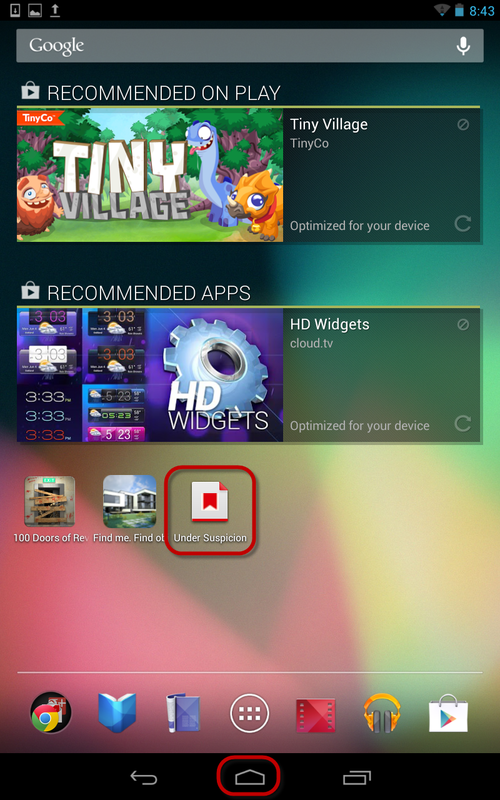 Find your bookmark by tapping the small "settings" button in the upper-right corner of the device's screen. 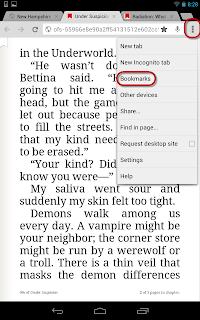 From "Bookmarks" you'll select "Mobile Bookmarks." Tap and hold the bookmark until additional menu items appear. Visit the home screen and see your new bookmark.